Every area/region has it’s own food items/taste & food recipes . Size, types & taste of food changes in every area . Every country has a list of its famous food items . All is well until we digest food well . But , It becomes a problem when this delicious food become the reason of our bad health . It happens mostly due to the wrong combination of food items , wrong timings of intake & excess of food . Every problem of our body somewhere related to the diet we have . Here is when , we feel the urgent need of Diet Motivation or Food Motivation . I don’t say that you become a doctor but all along I say that you must become a doctor . By not becoming a doctor , I mean that it is understood that everybody is not a doctor by profession . Whereas , by becoming a doctor , I mean that everyone must know his/her health . That how our body works , what is the healthy & required food for you & so on . We see many rich people who has serious health problems . It happens because somewhere in the race of catching our goal , we forget the real goal , which is for a good health . So , the first lesson is that we must make our first goal related to health that would be remain there , regardless of what else we are doing in our life . Disease could catch anyone regardless of our financial or social status , so better we learn the art of healthy living . This is happening because we forgot to connect with self . 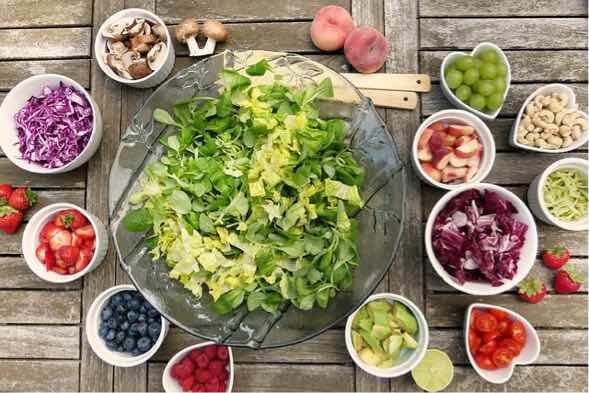 For this , the main point is that we must have the true knowledge of health & diet that what we eat , from where it comes & where it goes , how the waste is made in our body , how our body parts function , what our body need the most (diet plan) , after such knowledge you are going to gain the Diet Motivation . Now you may be thinking that you’ve to give so much time in a day to learn all this . It isn’t like , that to know all this you have to leave your work and give years in finding these things . You could find about such things even by living in your present lifestyle . You could start by giving only five minutes a day , which you may be spending on social media or somewhere else plus we’ve some spare time as well . After that , make a list of food items which you take the most in your life , which are the part of your diet plan . It could be a potato or any other food item or ingredients . Now , after doing this you must get to know that from where your potato comes , from where your wheat & other food items come & how it was prepared . If it is nearby , you personally go and visit there . In case if these foods come from far outside then just try to get knowledge by other sources . After this process , you would be able to know that which food items are good for you and which are not . Those items , which are not good for your health , immediately stop having those . From here , your Diet Motivation journey starts . It will boost your self motivational level & confidence and you would feel immense health from inside . As there is a popular phrase of Hindi , which says “जैसा खाए अन्न वैसा रहे मन और जैसा पिये पानी वैसी रहे वाणी।” It means your food decides your Soul , and the water (quality) which you drink decides your tongue (the way you speak) . Sometimes , we keep eating unhealthy food items and think that we are fit and fine because we aren’t facing any health issue but it’s not the case all the time . It is possible that some issues have started with any of your body organ but it isn’t reflecting in your body till its get bigger . It may take up to years to reflect in your body and once it reflects , it just make you sick & your body weak . In young age , our organs are also young , they pass away small health problems but it doesn’t guarantee that it will keep doing this for whole life . Let’s imagine your life after any health problem . You would be laying down at any multi speciality Hospital . Doctors would tell you to take care of so many things . In short , your life is going to be limited . You won’t enjoy everything which you could do now . Better you limit your taste now to get rid of the future eating limitations . Those who have control over their food & prefer healthy eating are experiencing diet motivation , it’s opposite are living a problematic life . Diet Motivation doesn’t differ with the financial status of a person . We could see a poor person who has control over food is living a happy life . On the other hand , a rich kid who doesn’t have any control over his food & following improper diet plan , suffers a lot . There is another Hindi phrase which says जीभ को भाए , पेट को न भाए , जो पेट को भाए , वो जीभ को न भाए . It means , Good taste isn’t cool for stomach always & which is good for stomach doesn’t taste good often . I totally agree with that phrase, food gives a huge impact on our lives. Your article is really inspiring, you did a great job. Thank you for sharing such an inspirable article. Keep it up your work.